SEE, I’M WONDERFUL. NO EXAGGERATION! I was studied by scientists and doctors. They, the wise ones, believe that I’m phenomenal. But I simply do my job. I treat and make you more beautiful. Listen! I work from head to foot. I’m your doctor who heals, a nurse who furnishes the cells with vitamins and other good substances, a hospital attendant who excretes and stimulates the work of livers. IN ONE WORD – I MAKE YOU SHINE IN HEALTH AND BEAUTY! The tractates of Tibet monks are among the most ancient written sources where the sea buckthorn is mentioned. However the most active period in recognition of the sea buckthorn fruits were approximately 200 years A.C. during the military expedition of Alexander the Great. The exhausted warriors observed that horses ate fruit similar to berries from several unknown trees. The warriors also tried them. In several days both the warriors and horses regained strength. Since then, this plant has been called hippophae in Latin. When translated, it means “the bright horse”. Alexander the Great brought the trees to Europe. The sea buckthorn is widespread in Asia, Europe and Russia and recently was also found in Canada. Aging and illnesses related thereto, such as heart diseases and cancer, are connected with anti-oxidation caused by excessive amount of reactive molecules. Antioxidants are substances decreasing the oxidation. A healthy person is endowed with a strong oxidative system – the organism itself is programmed to neutralize and demolish the hazardous substances. However, with years it becomes weaker; it is also provoked by enforced and ongoing stress, addictions, use of stimulating substances, unreasonable sunbathing, environmental pollution, illnesses, lasting inflammations, traumas, operations, starvation, low-quality food, etc. The hazardous impact of free radicals touches many organs, but most rapidly – the heart and the vascular system. It causes inspissations of cholesterol, decreasing of elasticity of blood-vessels, hypertension, ischemia, and a heart attack can result as a consequence. Next suffer the skin, the eyes, the immune system and connective tissues. Antioxidants are the most powerful opponents to cell destroying free radicals, but the sea buckthorn is one of the strongest known antioxidants, because it has plenty of natural antioxidants – vitamins C, E, A, beta carotene, selenium, polyphenol – flavonoid, etc.! There are eight B-group vitamins, which are essential for body functions such as cell regeneration and producing red blood cells. However, these water-soluble vitamins are easily destroyed while cooking or processing food. They contribute to healthy hair, skin and eyes and play an important role in health and development of foetus. Because B vitamins are water-soluble, your body uses them but cannot store them. This means you need to consistently replenish your body with foods or supplements rich in B vitamins. Deficiency of certain B vitamins can cause anemia, tiredness, loss of appetite, abdominal pain, depression, numbness and tingling in the arms and legs, muscle cramps, respiratory infections, hair loss, eczema, poor growth in children, and birth defects. If planning a pregnancy, women should consider taking folic acid (folate or B9) supplements to reduce the risk of conditions such as spina bifida in the baby. Vitamin C is needed for the growth and repair of tissues in all parts of your body. It forms an important protein required to regenerate skin, tendons, ligaments, and blood vessels. It helps heal wounds and maintains cartilage, bones, and teeth. Vitamin C is one of the many antioxidants and reduce the damage caused by free radicals. 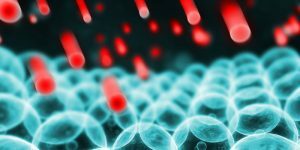 The buildup of free radicals over time is largely responsible for the aging process and could play a role in cancer, heart disease, and conditions like arthritis. Our body is not able to make vitamin C on its own, and it does not store vitamin C. It is therefore important to include plenty of vitamin C rich foods in your daily diet. The concentration of vitamin C in seabuckthorn is higher than in black currants, oranges, kiwi, and other plants. Vitamin C in seabuckthorn is also retained well after processing, due to the presence of organic acids within the berries which do not contain the distributing enzyme – ascorbate. Vitamin D is responsible for the normal growth and development of the bone system and teeth. It also stimulates calcium absorption from the digestive tract into the blood. It is particularly important for children to receive sufficient amount of vitamin D during infancy and for mothers to do the same during the breast-feeding period. In turn, lack of vitamin D can result in adults suffering from fragile bones. Vitamin D is sometimes called the ”sunshine vitamin” since it is made in your skin when you are exposed to sunlight. 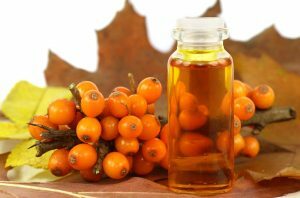 Seabuckthorn oils contain rich Vitamin D that helps in building bone, and more specifically in getting minerals to bone, a process called bone mineralization. (tocopherol)Vitamin E is a powerful cell rejuvenating and anti-infection agent. It normalizes the functioning of the thyroid gland and prevents signs of diminished libido. It is integral to spermatogenesis and regulation of male and female reproductive organs. It is also a strong antioxidant that protects and repairs your skin. Through synergetic interaction with vitamin A, vitamin E strengthens the human immune system. The most significant benefit is the high content of the tocopherol (Vitamin E) component within the seabucktorn oil. Vitamin E content in seabuckthorn is two times higher than wheat oil, 9 times higher than corn oil and 35 times higher than soybean oil. Vitamin K is found in nature in two forms – K1, also called phylloquinone, is found in plants and vitamin K2, also called menaquinone, which can be synthesized by many bacteria. Vitamin K1 (phylloquinone) in seabuckthorn amounts to about 1.2 mg %, i.e. more than in ash berries. Vitamin K is used in the body to control blood clotting and is essential for synthesizing the liver protein that controls the clotting. It is also helpful in bone formation and repair. In the intestines it also assists in converting glucose to glycogen, that can then be stored in the liver. There have been studies confirming that Vitamin K may decrease the incidence or severity of osteoporosis and slow bone loss. regulates more than 100 types of enzymes and stabilizes the durability of vitamin C in products. Pectins attract and discharge heavy metals and harmful substances from the body which arise during incorrect metabolism. Therefore sea buckthorn juice reduces poisoning with bad alcohol. Bioflavonoids have been used in alternative medicine as an aid to enhance the action of vitamin C, to support blood circulation, as an antioxidant, and to treat allergies, viruses, or arthritis and other inflammatory conditions. Bioflavonoids, also called vitamin P, are not strictly speaking a vitamin, but for easy classification, they are listed as a vitamin. The term bioflavonoids refers to many different ingredients and include hesperin, hesperidin, eriodictyol, quercetin, quercertrin, rutin, etc. These nutrients cannot be produced by the body and must be supplied in the diet. Their main task is to strengthen the walls of blood vessels, reducing their permeability and the possibility and blood haemorrhages. Flavonoids have anti-allergic, anti-asthmatic, anti-inflammatory and anti-viral effect. Vitamins F, an essential fatty acid, is composed of two fatty acids—linoleic acid (LA) and alpha-linoleic acid (LNA)—with linoleic acid being the most complete fatty acid. There are two basic categories of EFA’s (essential fatty acids)—omega-3 and omega-6—which include linoleic acid and gamma-linoleic acid. The body is not capable of manufacturing essential fatty acids, while the fatty acid arachidonic acid can be synthesized in the body from linoleic acid. Seabuckthorn contains 22 types of unsaturated fatty acids. Fatty acids are needed for normal growth, a well balanced hormone level and properly working immune system. To the skin, it brings suppleness and a youthful appearance. Arthritis gets controlled from these fatty acids and they also aid in the transmission of nerve impulses. Their shortage may lead to hair loss and eczema and may cause damage to the kidneys, heart and liver. The immune system can become less efficient with resultant slow healing and susceptibility to infections. reduces the risk of oncological disease. Omega 7 fatty acid (“Palmitoleic Acid” ) can be found in animal and plant sources, including macadamia nuts, cold-water fish and seabuckthorn berries. Seabuckthorn contains a much higher concentration of this valuable fatty acid, up to 40% as compared to 17% in macadamia nuts. While this omega has numerous skin and health benefits, it is also known for its ability to support a healthy weight, cardiovascular health, and gastro-intestinal health. Omega 7 provides key building blocks for skin, hair and nails. It helps combat wrinkles, dryness, loss of skin elasticity, and other symptoms of malnourished or aging skin. Taken internally, omega 7 fatty acid signals the body to stop storing fat. This amazing compound also helps the body maintain insulin sensitivity and fight off the imbalances that can result in metabolic syndrome. Insulin sensitivity plays a major role in helping the body convert glucose into energy, rather than storing it as fat. Omega 9 is a monounsaturated fatty acid present in all animal and vegetable fats. This fatty acid is essential, but it is not considered an EFA (essential fatty acid) because the human body can manufacture a limited amount of it if other EFA’s are present. Omega 9, also known as Oleic Acid, is associated with reduced atherosclerosis (hardening of the arteries), reduced insulin resistance and, thus, improved glucose (blood sugar) maintenance, improved immune system function, and has recently been implicated in possible protective effects from some cancers. Seabuckthorn contains 18 types of amino acids. Amino acids contain nitrogen compounds, therefore making them good rejuvenating material for the body. They not only participate in muscle renewal and growth, but the body uses them to produce enzymes and absorb nutritional ingredients. Amino acids are divided into two groups – essential and non-essential amino acids. The body can synthesize non-essential amino acids itself using other amino acid fragments as a building material, but physically active people demonstrate a higher need for amino acids which places an increased burden on the body. Moreover, essential amino acids cannot be synthesized by the body, therefore they must be a part of regular diet. Due to the diversity of their structures, proteins have many important functions in the body; it is important to intake proteins in regular diet. Non-essential amino acids can be synthesized by the liver through a process known as transanimation while essential amino acids must be obtained through the diet. Both non-essential and essential amino acids are used by the body for the production of proteins that constituent tissues like the skeletal muscle, heart and gastrointestinal tract. Calcium & Phosphorus – Calcium and phosphorus are jointly responsible for healthy bones and teeth, while calcium and magnesium together have an important role in normal heart activity and circulation. Calcium also contributes to the absorption of iron and helps the activities of the nervous system,especially the conduction of stimuli. Phosphorus supplies energy to the body, is integral to the formation of bones and teeth, regulates the calcium level within the blood, and facilitates the course of metabolic processes. Magnesium – Magnesium is essential for the proper functioning of the body in many ways: it is required for nerves, muscles, the immune system, cellular function, different enzymes require magnesium in order to metabolise energy. Magnesium also assists in the absorption of calcium, vitamin C and potassium. Iron – Important for the production of hemoglobin, the part of red blood cells that carries oxygen around your body, and a lack of iron can cause fatigue. It regulates metabolism and development processes within the body and also maintains the level of vitamin B12 within the blood. Iodine – Iodine is integral in the production of hormones of the thyroid, which is required for keeping up metabolism of the body. Iodine helps regulate the rate of energy production and body weight and promotes proper growth. It also promotes healthy hair, nails, skin and teeth. Zinc –Zinc controls and manages the metabolic processes of the body and the activities of enzyme systems. It is indispensible for protein synthesis and the optimal operation of the immune system. It has a favorable impact on the healing of wounds and stimulating the formation of insulin and the functioning of enzymes. Those deficient in zinc my experience weight loss, anorexia, an increased incidence of infections, diarrhea, immune dysfunction, delayed wound healing, oligospermia, mental lethargy, hypogonadism, growth retardation, skin changes, increased risk for abortion, neural tube defects of the fetus, and alopecia. Manganese –Manganese helps the development of strong bones, nerves and muscles. It is vital in controlling growth rates, ensuring the proper function of many enzyme reactions concerning blood sugar, metabolism, and thyroid hormone function. Manganese also enhances the ability of macrophages (white blood cells). Macrophages are one of the types of somatic cells released into the mammary gland to help protect it against bacterial infections. Manganese facilitates the metabolism of carbohydrates and fats and it is also a crucial element of the enzyme responsible for the utilization of iron. Beta-sitosterol, alone as well as in combination with other similar plant sterols, is one of a group of organic compounds acquired from seabuckthorn. It is a provitamin D and a powerful treatment for burns. It is a cholesterol antagonist and is recommended as a prophylactic agent in the treatment of atherosclerosis. It’s ability to block the absorption of cholesterol seems to be the reason behind diminishing cholesterol levels. Beta-sitosterol has also proven useful in easing the symptoms associated with benign prostatic hyperplasia. Serotonin is essential for nervous conduction processes (excitation and inhibition, nerve impulse transmission, and the balancing of human emotions). Serotonin protects against radiation and increases our immunity against infectious diseases It is very rarely found in nature, but it can be found in seabuckthorns berries. It also prevents cramp and has high anti-radiation properties. It is believed that plant sterols (phytosterol) lowers the total cholesterol level and the level of harmful low density lipoproteins (LDL), but seem to have no effect on the heart-friendly HDL cholesterol levels or triglyceride levels. The major phytosterol in sea buckthorn oil is sitosterol (ß-sitosterol), with 5-avenasterol second in quantitative importance. The total quantity of phytosterol is quite high in seabuckthorn and may exceed soybean oil by 4–20 times. Sterols in seabuckthorn oil delay cholesterol absorption and offer protection against hepatic dystrophy. Sterols are also important agents in the treatment of atherosclerosis patients. The presence of coumarin acts against haemorrhage and possesses anti-tumour, analgesic, anti-hypertension, bile flow-inducing, anti-inflammatory and other properties that are useful to the human body. The active composition of coumarin in seabuckthorn is helpful on anticancer activity and on resisting the cancer cell in the human body. Facilitates the processes that prevent the formation of clots within blood vessels. Seabuckthorn contains oleanolic acid that help improve blood circulation and tone the body. Ursolic acid has a beneficial effect on the functioning of the adrenal gland hormones. It also has a very powerful effect in healing wounds, ulcers and in liquidating erosions. The mechanism of hepatoprotection by these two compounds help the inhibition of toxicant activation and the enhancement of the body defense systems. Oleanolic acid and ursolic acid have also been long-recognized to have anti-inflammatory and anti-hyperlipidemic properties. Recently, both compounds have been noted for their antitumor-promotion effects, which are stimulating additional research in this field. Also known as succinic acid, it is very rare to find in the plant kingdom. In seabuckthorns, together with malic acid, oxalic acid, quinine acid, coffee acid, tartaric acid, amber acid forms a unique composition. It lowers the toxic effects of antibiotics and the harmful impact of X-rays. It also reduces the ill effects caused by various stress factors. It is used to treat multiple sclerosis, epilepsy, atherosclerosis, heart and blood vessel sclerosis, hepatic illnesses and various illnesses affecting the central nervous system.